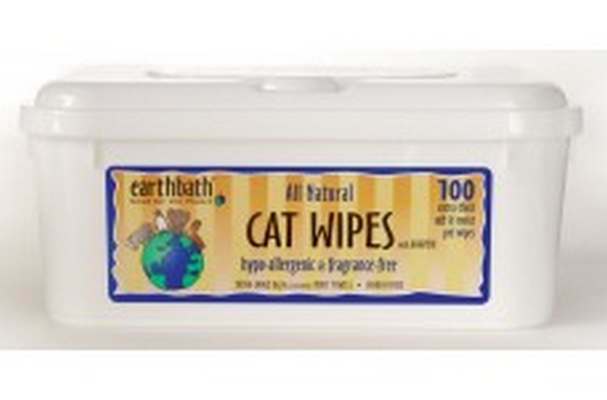 Eartbath Hypo-Allergenic Cat Wipes with Awapuhi safely and easily wipe away dander, dirt and residual saliva in your finely furred friend's coat. 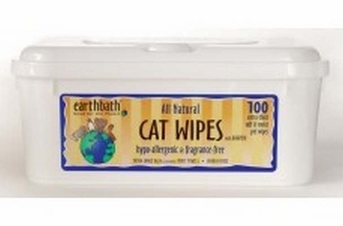 Dander & saliva build-up are the leading causes of human/cat allergies, and use of these wipes can help resolve this issue in short order, while leaving your cat or kitten softer, shinier & smelling better than ever before. Mild cleansers deodorize, freshen & clean as the exotic Hawaiian Awapuhi conditions the coat and imparts a healthy shine. Aloe Vera and Vitamin E moisturize both coat and skin. Do not flush wipes.